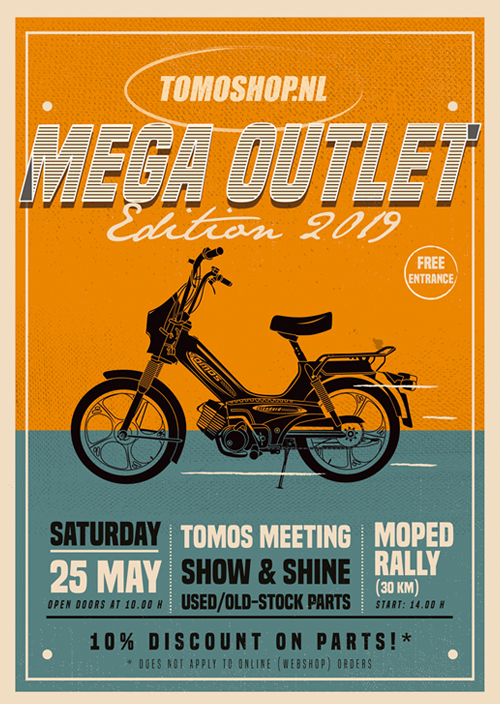 On Saturday 25 May 2019 we are hosting our Tomoshop Mega Outlet for the 6th time! It is getting bigger every year, with alot of Tomos, Puch and two-wheel lovers from all over the Netherlands and the surrounding countries. Besides the nice atmosphere and meeting, we also offer a discount of 10% on all parts for everybody who comes to the Mega Outlet! 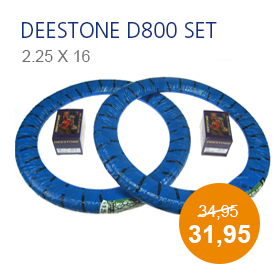 In the past few years we have built up a large stock of second hand / old stock parts. 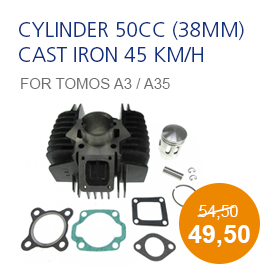 Beautiful parts for a nice price. Tip; If you want to get the best buys, be there on time. The doors will open at 10:00 hour! 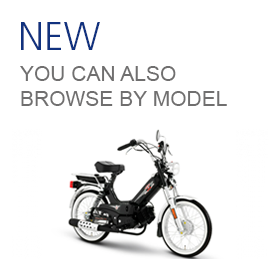 This year there will also be a moped rally of +/- 30 km/h through the beautiful area of Wageningen. Last year it was a great succes with about 110 participants, which we want to surpass this year! To give an indication of the number of participants for this year, we would like to receive a pre-registration. You can register using the form below.